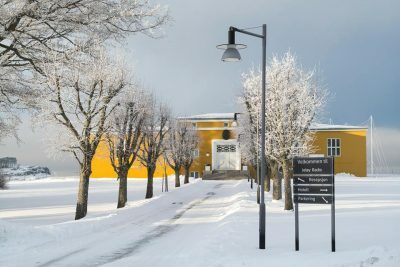 Prime Minister Erna Solberg was back at a snow-covered former radio station-turned-hotel on an island south of Oslo late this week, to resume negotiations aimed at expanding the government coalition she leads. There were more signs of optimism at Hotel Jeløy Radio that the non-socialist Liberal Party would team up with Solberg’s Conservatives and the even more conservative Progress Party. The talks were suspended mid-week, when Solberg flew off to Washington DC to meet US President Donald Trump at the White House. The meeting was deemed a success, building confidence that if Solberg can come to terms with Trump, she should be able to do the same with her Norwegian counterparts. 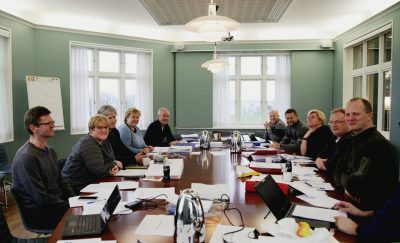 While Solberg was at the White House on Wednesday, her government colleague and Finance Minister Siv Jensen was testifying at a parliamentary hearing on last fall’s political drama around statistics bureau SSB. Jensen also appeared confident while being grilled by members of the Parliament’s disciplinary committee, fueling speculation that all three party leaders involved in the government talks are in relatively good moods and will be able to iron out their differences. Solberg flew straight back from her whirlwind trip to Washington, in time to appear on Norwegian Broadcasting (NRK)’s nightly national newscast Dagsrevy. Appearing relaxed in a warm sweater, the prime minister overcame any jet lag to answer more questions about Trump but nothing of substance about the government talks. There have been surprisingly few if any leaks either, another sign that no one is irritated enough to complain to reporters or try to add to the pressure. Newspaper Aftenposten reported on Wednesday that optimism was running high within all three parties involved in the talks. 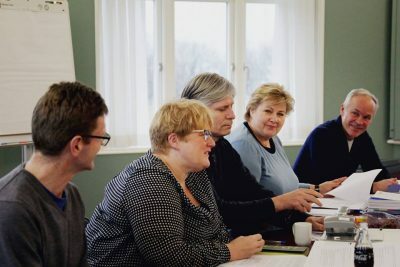 Solberg, Jensen and Liberal Party leader Trine Skei Grande have emerged only once since the talks began, to announce a new joint effort to launch an effort to include more immigrants, refugees and others in the workforce. “The employment levels in Norway are too low,” Solberg said at a brief press conference after three days of talks. She also took the opportunity to claim that the mood around the government negotiating table was upbeat and all were in “good humour.” Jensen interjected, however, that negotiations remain vanskelig over such thorny issues as immigration and asylum policy, climate and the future of the oil industry. By last weekend, the Conservatives’ press chief told reporters that the tempo was high and no one was taking off either Saturday or Sunday. “This is no rest home,” Peder Weidemann Egseth told news bureau NTB. Solberg, Jensen, Grande and their teams, which include current ministers, were handling several issues every day. Grande faces special challenges because her small party was split heading into the negotiations over whether they were best served by joining the government or remaining outside it. Grande herself seems keen to gain some government power and win some ministerial seats, and be part of shaping government policy and proposals instead of reacting to them. Aftenposten reported that all staff members were told to be prepared for another marathon weekend that could result in solutions and an announcement of an agreement on a new three-party government coalition. It would still be a minority government, but with the opposition Labour Party distracted by crisis on several fronts, the new teamwork may further solidify Solberg’s position. 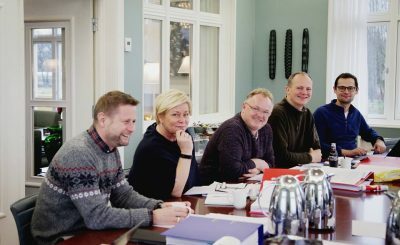 She believed, at the very least, that the small hotel located on the Oslo Fjord was “well-suited for good conversations.” Kirsti Albert, manager of the hotel that’s traditionally been used by state-controlled Telenor for meetings and seminars, was delighted to host Solberg & Co. If all goes as planned, Solberg will announce a new government platform and introduce a ministerial lineup after the Council of State at the Royal Palace on January 19.